The promotion of equality is about more than just empowering women; it is also about dealing with the social position and status of men. Fighting for equal participation is a step in the right direction, but equality is not limited to counting how many men and women are taking part in an activity. It is important look beyond representation and focus our attention on power. 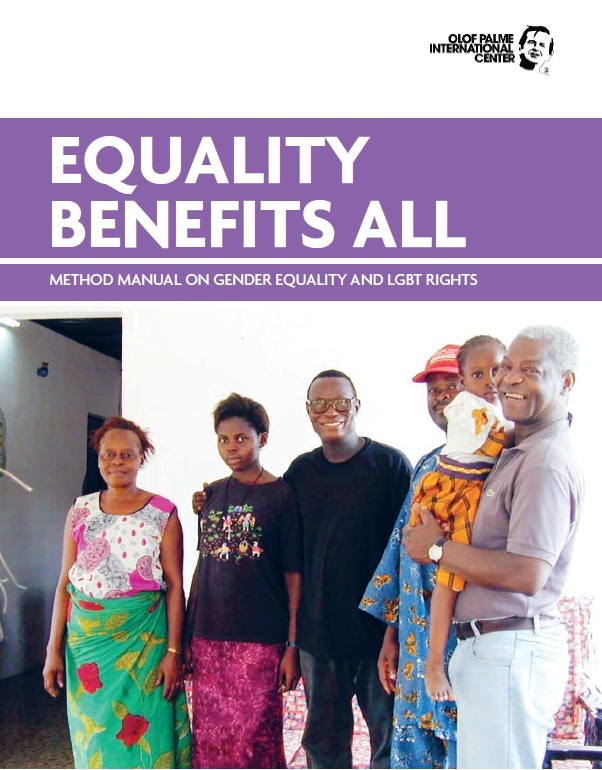 For the purpose of this manual we have consciously decided to include LGBT (lesbian, gay, homosexual and transgender) issues and rights in the concept of equality. Our position is that LGBTissues are related to equality since gender roles are linked to sexual orientation. 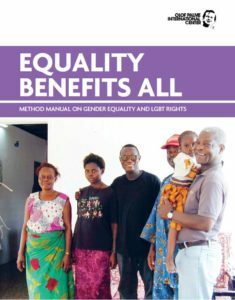 Part one is a general description of (in)equality and the situation for LGBT persons around the world, and part two proposes practical ways of integrating equality as a natural element of development projects. – Equal opportunities for all, regardless of gender, is and always will be a prerequisite for development and compliance with rights. Women tend to reinvest income and benefits in future generations more than men do. Hence it is a fact that equality prepares the ground for better living conditions for everyone and thus is in itself an effective tool for fighting oppression and injustice, says Jens Orback, General Secretary of the Olof Palme International Center. Equality Benefits All can be read here. Selected printed issues can be ordered from: info@palmecenter.se. Contact the Palme Center or visit our website for methodology support in other subjects. This manual has been published by the Olof Palme International Center with the financial support of Sida – the Swedish International Development Cooperation Agency. Sida is not responsible for the content, design or opinions expressed herein. Published in 2015.